Super Bowl 51 features two of the top scoring teams in the NFL. In a game that can become a shootout, let’s look at the top six offensive playmakers that can change the game. As stated above, the New England Patriots and Atlanta Falcons hold elite offenses that have carried them to Super Bowl 51. 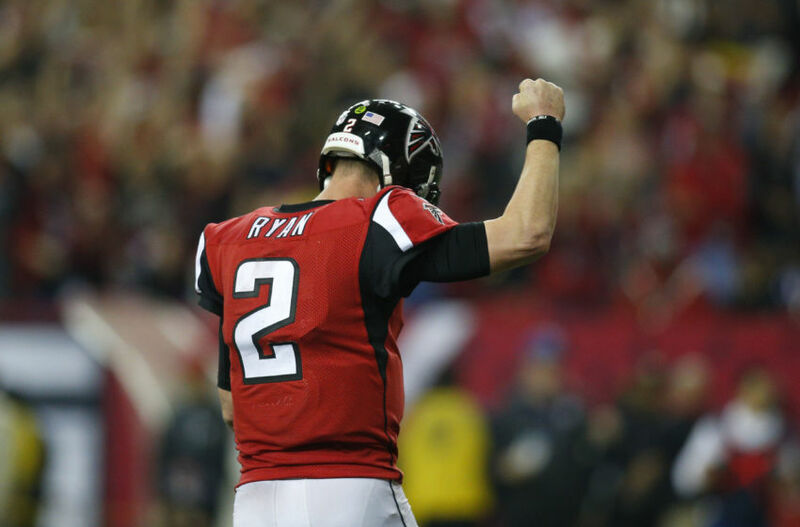 Matt Ryan led the Falcons to become the highest scoring team in the NFL, averaging a whopping 33.8 points a game. 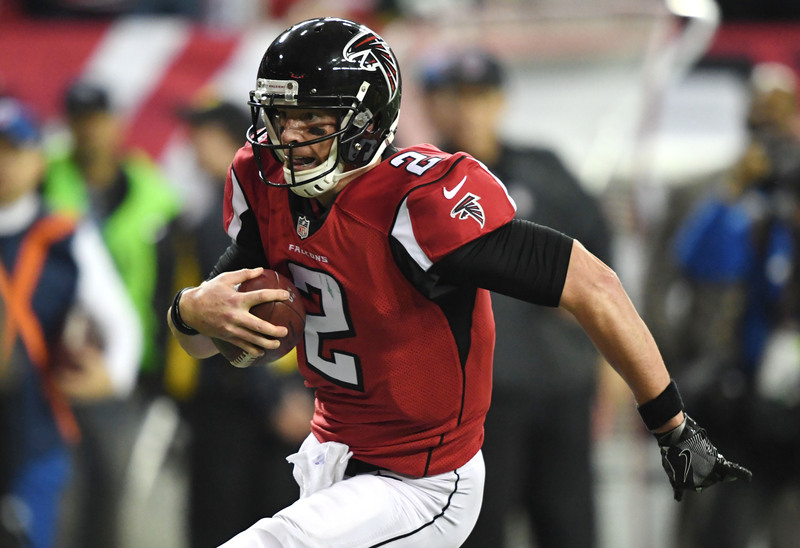 Atlanta was also second in yards per game (415.8), third in passing yards per game (295.3) and fifth in rushing yards per game (120.5). 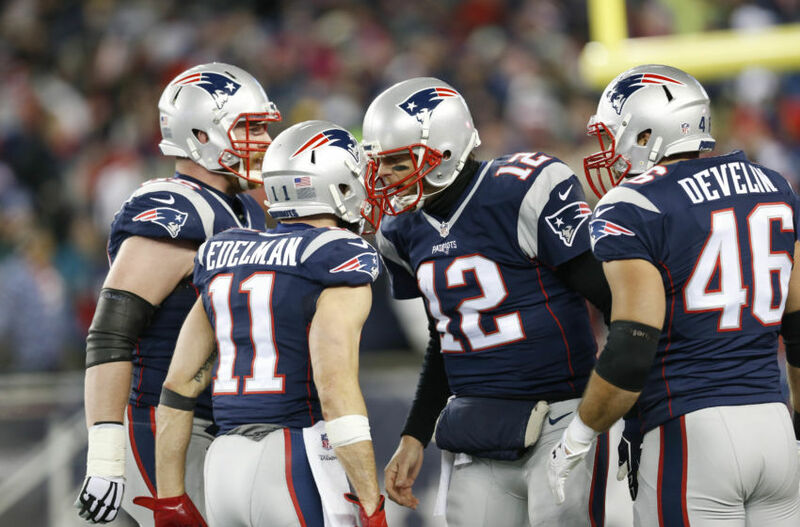 Joining them in the Super Bowl are the Patriots, who held the third-best scoring offense in the NFL. 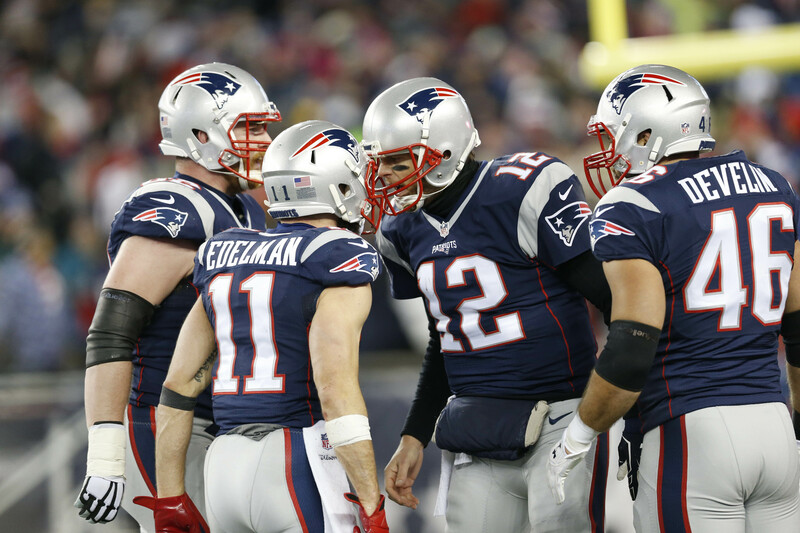 New England ended the season ranking fourth in total yards per game (386.2), fourth in passing yards per game (269.2), and seventh in rushing yards per game (117.0). With some backstory provided on these offenses, let’s jump into some offensive predictions. Falcons quarterback Matt Ryan put up spectacular numbers during the regular season, putting him in the discussion for MVP. He followed up his 37 touchdowns, seven interception season by blowing out back-to-back teams in the NFL Playoffs. Ryan eclipsed 300 yards passing against the Seahawks and Packers plus has seven touchdowns without an interception to show. Ryan’s 2016-2017 playoffs performance is one that fans have been waiting to see. 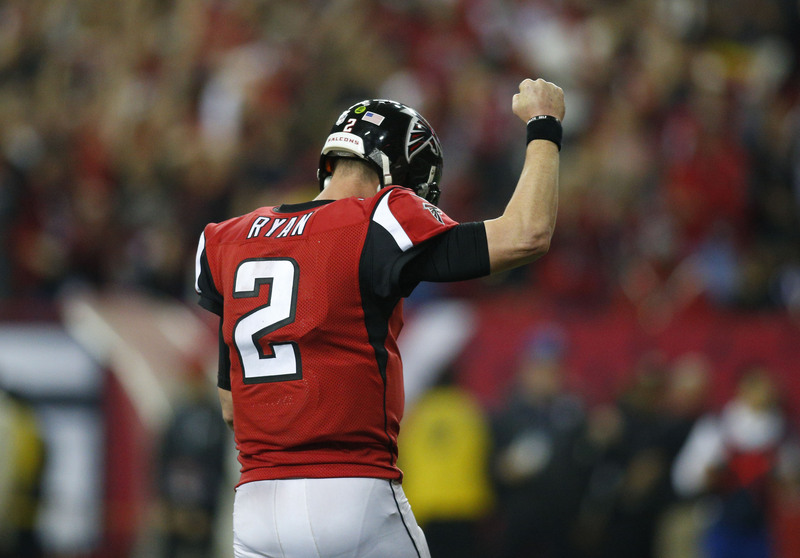 In his previous five postseason games, Ryan held a 1-4 record and threw nine touchdowns and six interceptions. He threw for under 200 yards three times, with his highest quarterback rating being 72.8. Ryan’s 2016-2017 playoffs performance is one that fans have been waiting to see. 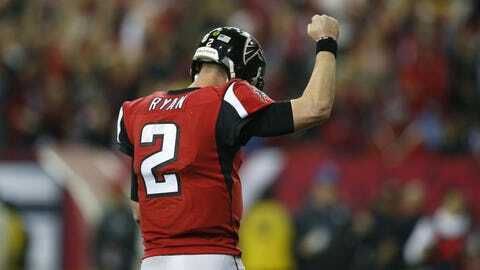 In his previous five postseason games, Ryan held a 1-4 record and threw nine touchdowns and six interceptions. He threw for under 200 yards three times, with his highest quarterback rating being 72.8. Now, he’s representing Atlanta in their second Super Bowl appearance in franchise history and is going against a great secondary. 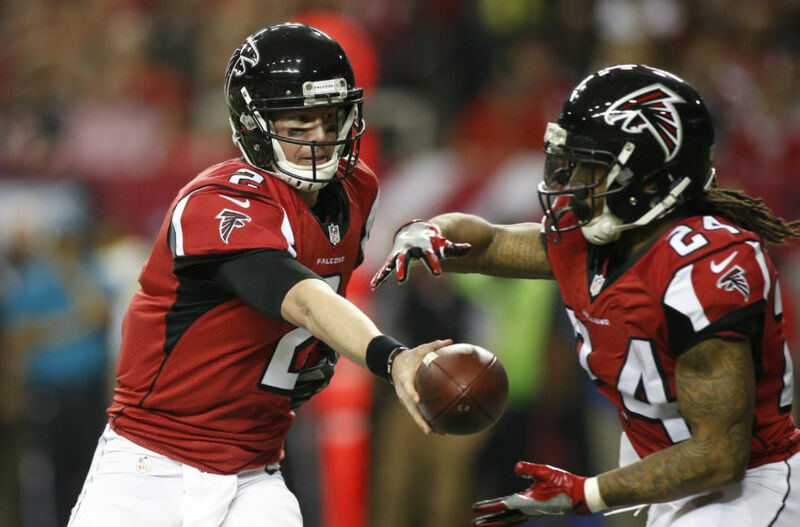 The Falcons have had to rely on the passing game throughout the playoffs, and the Patriots have held offense’s in check throughout the season. Clearly, Ryan is the heart and soul of the Falcons, and I expect his productivity to continue, even against an elite New England defense. 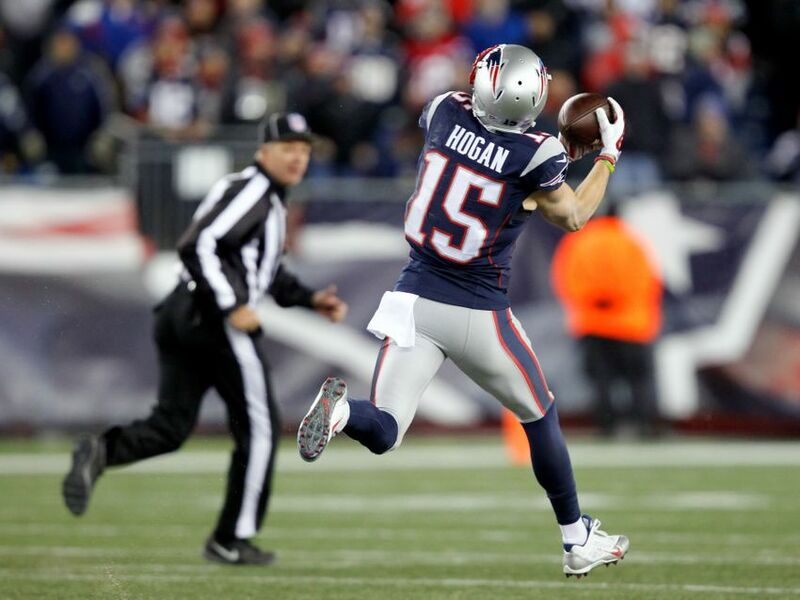 If you don’t know the story of Chris Hogan, you’re missing out. And, since we are already on the topic, I’ll give you a bit of a rundown. First-team All-ECAC at Penn State his senior year for lacrosse. 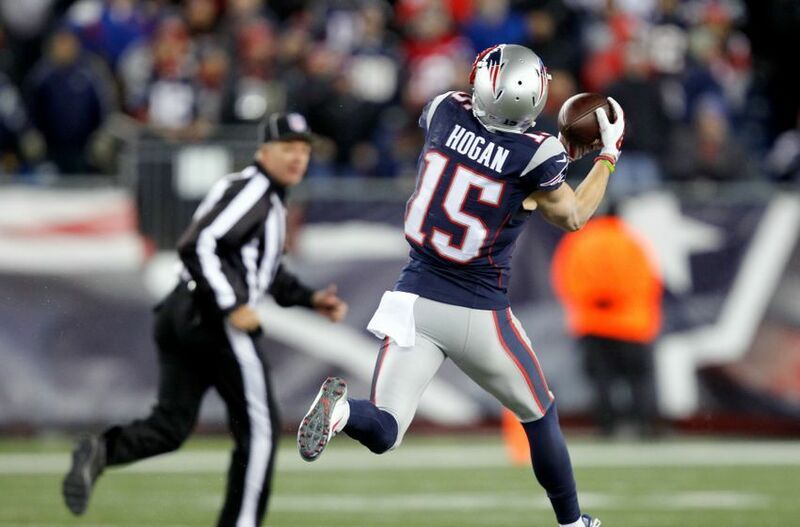 Hogan has taken over the headlines particularly for his play in the AFC Championship Game against the Steelers this postseason. He hauled in nine receptions for 180 yards and two touchdowns. Not only did this stat-line provide all career-highs, but his 180 receiving yards set a Patriots record for receiving yards in a playoff game. The Patriots have been without tight end Rob Gronkowski, and backup Martellus Bennett hasn’t been healthy at all. Of course, this play from Hogan shouldn’t be of surprise. Brady is known for making people stars for a season, and Hogan’s case is no different. The Patriots go against a very young defense that has picked up its pace after the bye. Although the Falcons were able to shut down the Packers and Aaron Rodgers, it’s very rare to see a defense be dominant against two of the best quarterbacks of all time. Hogan will have to make his presence felt and show the young Atlanta defense who deserves a ring. 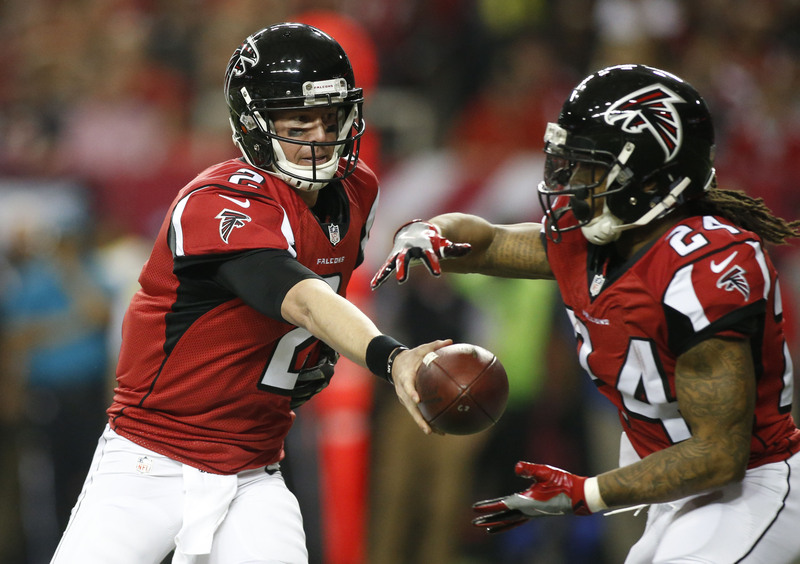 Atlanta’s offense relies greatly upon the production of their backfield, which features Devonta Freeman and Tevin Coleman. In the regular season, Freeman emerged as one of the most dynamic running backs in the NFL, totaling 1,079 yards rushing and 462 yards receiving. Freeman went over 1,000 yards rushing for his second season in a row, but did it on 37 fewer carries compared to last year. But it’s not about what he did this regular season that is to note; it’s his unproductiveness in the postseason that is to be of concern. Although Atlanta can score with ease through the air, the importance of a strong running game has been key to their success. Freeman has had just 28 carries for 87 yards. Although his eight receptions for 122 yards is eye-opening, 53 of those yards came on one catch. Regardless, Freeman hasn’t been nearly what he was in the run game during the regular season. Now, I’m not sure if the firepower that Ryan holds through the air has to do with Freeman’s lack of carries, but Freeman must make plays in the Super Bowl if Atlanta wants to win this game. New England has a stellar defense that is stout against the run, and it’d be wise for Atlanta to attack that defense and expose it early. Freeman needs to return to himself and demand the football. If he does this, I believe his impact will be stellar. It was a bit of a surprise to see Blount play behind fellow running back Dion Lewis in the Divisional round against the Texans. He was held to just eight carries for 31 yards. His workload increased against Pittsburgh in the Championship Round, as he doubled his carries and went for 47 yards. Blount also stepped into the end zone once, and contributed to a 36-17 blowout win to send the Patriots to yet another Super Bowl. Now, knowing that the Texans had the league’s best overall defense, but were 12th in the league in rushing yards allowed (99.7), is a bit concerning in Blount’s case. He’s a power back, along with having great acceleration. A bit reminiscent of Marshawn Lynch. If the Patriots were so hesitant to use Blount against the Texans, what are they going to do against a striving Atlanta defensive front? Although they ranked 17th in the league in rushing yards allowed per game, the Falcons have held opposing running backs in check this postseason. In both games, opposing quarterbacks (Russell Wilson, 49 yds and Aaron Rodgers, 46 yds) have led their respective teams in rushing. Blount acts like an 18-wheeler coming at you full-force at 150 miles per hour. The Patriots need to utilize his size and ability to manage short-down situations. Their offense is already depleted, and the Patriots can’t afford to have Blount be unproductive in the most important game of the season. So… that man Julio Jones went over 1,000 yards receiving again and made it look so easy. He even hit us with a 300-yard receiving game this year just to give us something else to talk about. Jones has had a stellar playoff performance thus far, as he has done in his previous playoff appearances. Already accumulating 15 catches for 247 yards and three touchdowns, Jones now has to face the best secondary he’ll see in the playoffs this year. Malcolm Butler was able to shut down Antonio Brown in the Championship Round, and has to go back at it again with Jones. You can never count Julio Jones out of any matchup, and I expect him and Matt Ryan to attack Butler and others enough to create scoring opportunities and mismatches. You had to have seen this one coming, right? Tom Brady has more than enough credentials to be considered the best quarterback of all time. Now, he looks to capture his fifth Super Bowl ring, and insert himself into a category of his own. He currently is one of just three quarterbacks to rack up four rings (joining Joe Montana and Terry Bradshaw). If Brady can fill a whole hand with rings, he has to be solidified as the best ever. Brady has filled his historic stats sheet with all-time great receivers, and those most of us won’t remember five years from now. This game might just seem like another Super Bowl, another ring to Patriots fans and Brady. The veteran goes against a very, very young defense in Atlanta. They’ve been playing aggressively and have been able to shut down Russell Wilson and Aaron Rodgers. But, this is Brady against a bunch of young guys. I’ll take Brady against anyone, and especially against a defense like Atlanta has.